On October 25th, 2013, more than 100 of our closest friends and admirers flocked to Heritage Hall to celebrate CutBank’s fortieth birthday. It was a stellar success, with readings from founding editor Bill Kittredge and a who’s who of writers whose work appears in our newly published anthology, Forty Years of CutBank! In honor of the one month anniversary of our 40th birthday party, CutBank wants to share some images from our celebration. Our special thanks to all attendees, readers, volunteers and especially the following donors: Montgomery Distillery, Masala Indida Food Cart, Melissa Mylchreest, Bayern Brewery, Ten Spoons Winery, Bitteroot Flower Shop, Silk Road and anthology authors for their signed work. NEWS: CutBank Books Releases First Three Books in New Chapbook Series - Chapbooks on sale now! MISSOULA— CutBank Books is thrilled to announce the release of its first ever print run of chapbooks: Sean Bernard’s Nuclear, winner of the 2012 Chapbook Contest, Sandra Doller’s Memory of the Prose Machine, and Through the Hour Glass by Kristin Hatch. From an enormous field of submissions to CutBank’s first ever annual Chapbook Contest, we culled these excellent books. We originally sought to publish a single compelling and original book of prose or poetry, with a keen eye for work that straddled the line between genres. What we found blew us away – so much so that we ultimately decided to publish three outstanding manuscripts. —Tracy Daugherty, four-time winner of the Oregon Book Award and founder of the Masters of Fine Arts Program in Creative Writing at Oregon State University. —Scott O’Connor, author of Untouchable, winner of the 2011 Barnes & Noble Discover Award. Sean Bernard is a fiction writer who lives in southern California and teaches at the University of La Verne. A 2012 NEA Literary Fellow in Prose, his stories have appeared in many journals, including Quarterly West, Santa Monica Review, Iron Horse Literary Review, and Copper Nickel. His first novel, Studies in the Hereafter, is forthcoming from Red Hen Press. 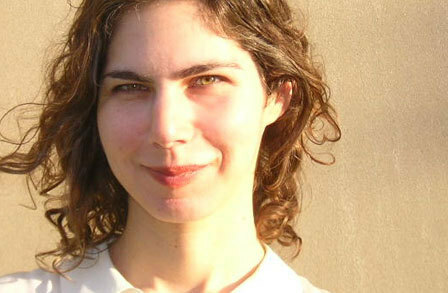 Sandra Doller’s first two books, Oriflamme (2005) and Chora (2010), were both published by Ahsahta Press, and her third book is Man Years from Subito Press (2011). Her translation of Éric Suchère’s Mystérieuse won the 2012 Anomalous Press Chapbook Contest, selected by Christian Hawkey. A recipient of the Paul Engle-James Michener Fellowship, the Iowa Arts Fellowship and individual state artist awards, Doller completed her MA at the University of Chicago and her MFA at the Iowa Writers’ Workshop. The founder & editrice of 1913, Sandra has taught at alternative schools as well as Cornell College, Hollins, Boise State and California State University. After many many moves, she now lives in San Diego with man & dogs. Kristin Hatch is a graduate of the University of Iowa Writers’ Workshop. Her full-length book, the meatgirl whatever, won the 2012 National Poetry Series and is forthcoming from Fence Books. Her poems have appeared in various journals including The Black Warrior Review, Forklift, Ohio and The Indiana Review. She lives in San Francisco. CutBank Books was started in 2012 in order to publish a single compelling and original book of prose or poetry, with a keen eye for work that straddled the line between genres. The annual competition runs from January 1st through April 1st every year. The winner of the chapbook prize receives $1000 and 25 contributor copies, and multiple books may be published annually. Submissions cost $20 and are accompanied by a complimentary issue of CutBank. We’re proud of CutBank‘s forty years as Montana’s foremost literary magazine, founded in 1973 by the Creative Writing program at the University of Montana and helmed initially by favorite literary son William Kittredge. We publish two print issues a year of compelling poetry, fiction, and literary nonfiction by established writers and new voices alike. We’re global in scope, but with a regional bias. Over the years, we’ve been privileged to feature work by Wendell Berry, Louise Erdrich, Richard Hugo, Seamus Heaney, James Welch, Patricia Goedicke, James Lee Burke, Chris Offutt, Aimee Bender, Steve Almond, and a number of other writers whose work we’re fond of. That’s the joy, we think, of both publishing and reading a publication like CutBank: discovering and developing a fondness for new work. Don't forget to submit to the 2013 chapbook contest (deadline March 31st) at out our submittable page! Welcome to a brand new year of Second Wind performances, a nifty Missoula reading series that pairs U of M MFA students and prominent community writers. To kick off 2013 (February's almost over, but it's not too late yet to ring in the new year), here are FOUR readings from the last two weeks.